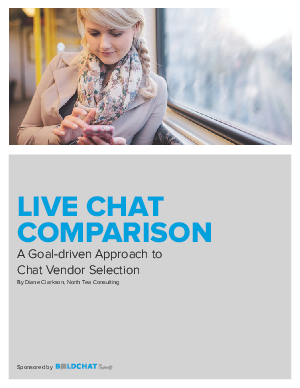 Selecting a live chat vendor can feel like evaluating dizzying lists of features – each feature-set will help achieve a goal. But the challenge is to determine the features that will help you achieve your goals. The first step is to identify your consideration set. We will present four key considerations that will help you determine which vendors warrant deeper attention.